Enjoy its unique restaurants, stay in one of the many boutique hotels, and experience a hands-on cooking class at one of the many recreational cooking schools. Fill in the form below and we'll send you an email with all our current deals for New Mexico. Cook up a Southwestern Feast and Taste Your Way Through Santa Fe! Blue Plate Special brings the same passion and sense of fun to our cooking classes as we do to our catering. We offer lessons in all types of cuisines—for everyone from the “recipe-challenged” to the home gourmet. Let us plan something special for your next private or corporate event. Discover a new world of flavor with catering services and cooking lessons from our personal chef at Chef Nuevo Caliente Catering. With more than 40 years of experience in the kitchen, Brian Nelson provides delicious food and great services. He loves to cook, and enjoys teach people how to cook. At Comida de Campos, we have embraced farming as an extension of who we are. We have been chemical-free and practicing organic methods for almost 15 years now. Comida de Campos is proud to offer a wide variety of hands-on culinary adventures, farm tours and cooking classes. We specialize in creating dynamic learning environments that inspire teams to improve communication and problem solving skills. Discover how our innovative team cooking programs use the experiential process to engage participants, enhance learning, and strengthen working relationships. Le Café Miche features French country cuisine. We hold cooking classes every Tuesday evening…and in July, every one will be a “French Cooking De-Snootified and Made Easy” class. Our every-Thursday-night Wine & Culinary Adventures will be conducted all month at $28 per person. Customize you own cooking class; specify the cuisine and tailor it to your personal level of expertise. Classes generally last 3 hours and include a wonderful meal either in our spacious kitchen or outdoors under the ramada. We have a wide variety of international chefs from which to choose. 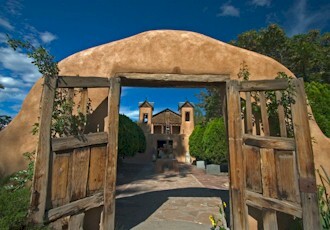 Located in the heart of Santa Fe's historic district, the SFCA offers community cooking classes and a unique one-year Professional Culinary Program. The SFCA also hosts distinctive pop-up restaurants, a student restaurant and event space for Santa Fe locals and out of town guests alike. Celebrate NM's unique culture & history with produce, baked goods, jams, & other local foods, crafts, herbal products, soaps, & more. Every Saturday. Competition Indian singing and dancing. Indian traders market, and a street fair filled with aisles of shopping, native foods and music. Come to Brandenburg Park for bacon, beer, games, music, and more! We've got dozens of great breweries with unlimited sampling. Live blues bands, too. Tie on an apron and get into the competition with your best red or green! Tantalize your taste buds with fine wines and delicacies. Herb garden tours, lavender and herb product vendors, lectures on cultivating lavender and hands-on activities. Over 100 wines with local restaurants cooking up perfect compliments, truly a mouthwatering culinary extravaganza! New Mexico's Original Food Festival is hosted by Visit Rio Rancho and is one of the State's longest running food festivals. Sample delicious New Mexico wines, buy directly from the vintners and enjoy food, music and arts & crafts. Enjoy música, arte and màs at this celebration of the culture, cuisine and crafts of our colorful neighbor. Features traditional art from local Hispanic artists, live music and dance, art demos, and regional foods. 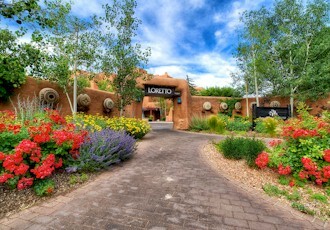 Pow Wow, Rodeo, Parades, exhibits of artisan objects, and Wine Tasting with light buffet, wine and micro-brewery beer. An artisan market, microbrew garden, food trucks and live entertainment from local and national acts. We welcome vegans, vegetarians and the veg curious, anyone wanting to learn more about a healthier planet and a healthier you. Combines multiple cook-offs with live music all weekend. The best of Native culture - clothing, fry bread & other Native foods, and the youth participants throughout the Market. Features a wide selection of red, white and sparkling wines that range from soft and sweet to bold and dry. 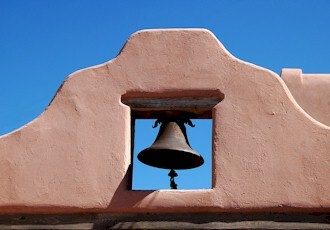 A New Mexico Tradition Since 1712.